I would like to welcome you to the Slade Nursery School. We have children and families at the heart of all we do. 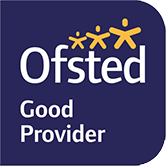 Our mission is to meet the individual needs of every child who attends Slade Nursery School and Day Nursery. Slade Nursery School provides a really good start for children from six months to school age by building a positive relationship with their key person, who will support them as they grow. The children love the family feel of the nursery. We offer places for: three to five year olds, who are entitled to a 15 or 30 hour funded place; places for two year olds; places for babies from six months; all led by experienced specialist staff. Wrap around sessions are available for children who need additional hours. Slade Nursery School has a wonderful purpose built building and has amazing garden spaces. Our website will provide you with information about our aims and values. It explains how we work and how the children will learn during their time with us. Please feel free to visit us and find out more.